I'm still a little dreamy off London, the city gives so much impressions and experiences. I shot these photographs in Shoreditch. For the ones who don't know that place: sort of a vintage heaven, haha. There are lots of vintage markets and stores there and also a lot new concepts and innovations. And if you walk away from the crowd you reach old lanes like this one. I love those for outfit backgrounds. My outfit in the morning was a striped tee and new Forever21 shorts, with a simple jumper. 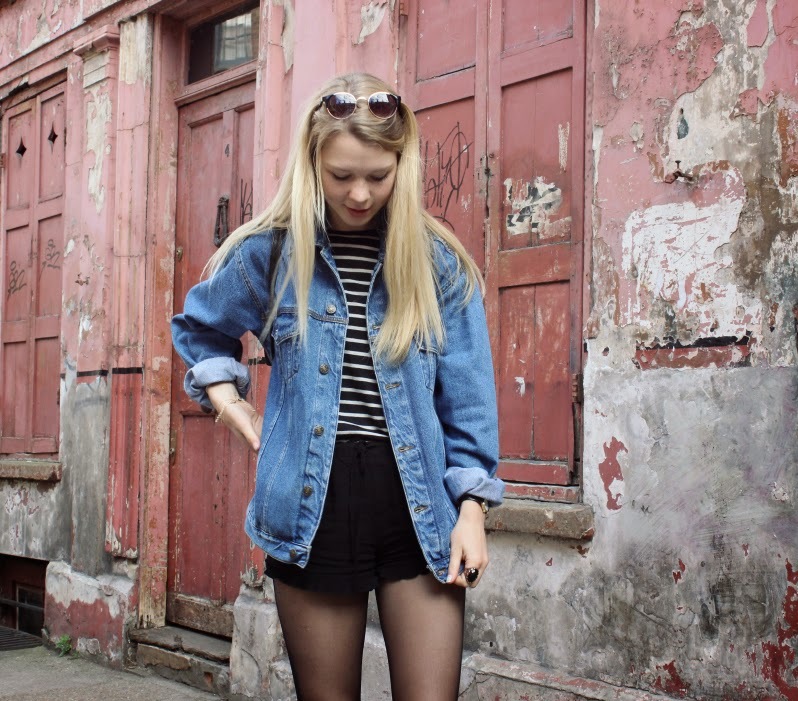 But in Shoreditch and Bricklane I found a beautiful vintage denim jacket. A bit oversized but I like that, ah and I also couldn't believe that it was only 5 pounds! It is a new favourite of mine. And the sunnies are vintage from there too! They are different from the ones I saw in stores but stil very lovely! So in the afternoon my outfit changed into this one from the photos, and I really like this one. Right now London is already two weeks ago. This weekend I went to the seaside with Paul's famlily, had a lovely time there. The weather was good and the beach is always good. Too bad that it is already over, I can't wait for the next holliday. How was your weekend? And what do you think of this outfit? ahh I love that jacket! I've been looking for a good oversized one forever. I'm travelling over to london in december, any tips on places to go? Oh dat jasje is perfect! 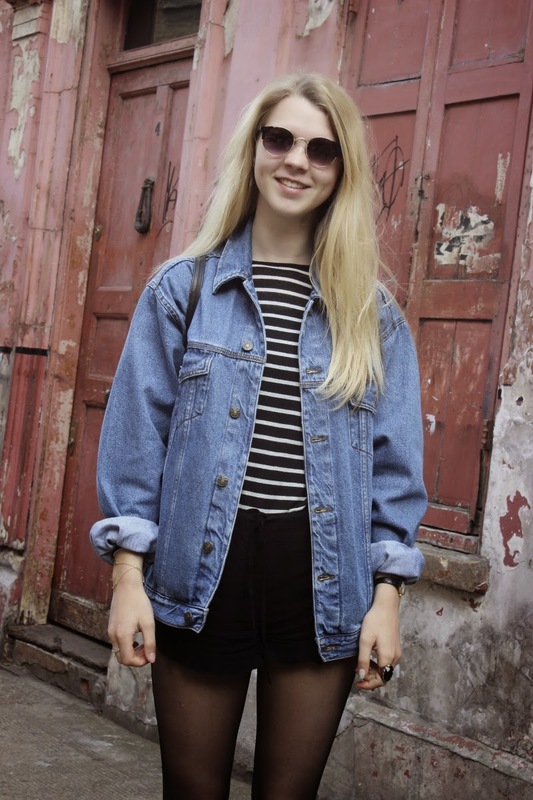 ik wil ook al zooo lang zo'n oversized denim jacket van Levi's, maar bij Episode en dergelijke zijn die al snel 20/30 euro. Lucky youuuu, voor die paar pond hihi :) Je outfit is super! Ik zou het zo aantrekken haha! You look so pretty! Loving the jacket as much as I love the background. 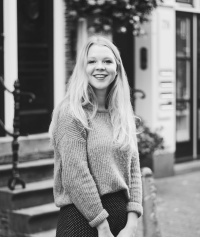 Ik heb je blog zitten bekijken, zitten echt leuke posts bij! I'm leaving. Are you coming with me?